Now, with scientific evidence supporting green tea’s health benefits continuing to pile up, Ahmed hopes the research he and his group at WSU Spokane are conducting can move to the next level. Although researchers still don’t know what causes rheumatoid arthritis, and EGCG testing has yet to move beyond lab animals, Ahmed believes green tea holds promise as a potential complementary therapy alongside traditional immunosuppressive treatments. Rheumatoid arthritis is an aggressive disease that tricks the body’s own immune system into attacking itself, causing painful damage to joint cartilage, surrounding tissue, and bones. Currently, doctors treat the disease with drugs that suppress the body’s immune system to help slow the attack. Those drugs, however, not only are expensive, but they leave patients vulnerable to other medical problems while their immune systems are compromised. Ahmed wants to explore the possibility that EGCG, in combination with conventional medications, could improve patient outcomes if included as part of the first-line treatment plan developed by doctors. He theorizes that potential benefits could range from greater pain relief and slowed degradation to perhaps even reduced reliance on costly immunosuppressants at some point. 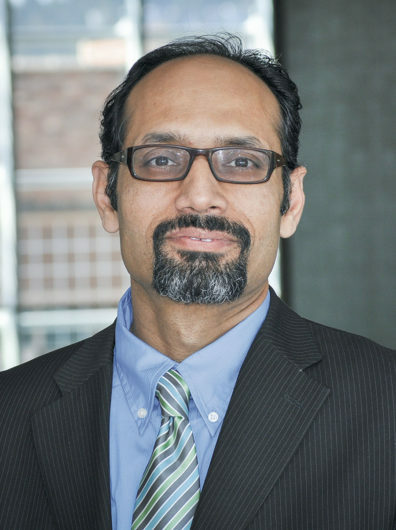 The National Institutes of Health awarded Ahmed his first research grant to study green tea while he was with the University of Michigan Medical School. He moved his research into pharmacology in 2009 at the University of Toledo’s School of Pharmacy before accepting his faculty position at WSU Spokane in 2014. Additionally, other autoimmune diseases such as type 1 diabetes and gout follow similar inflammatory pathways and green tea therapies might hold potential benefits in the fight against those conditions as well. Meanwhile, the first steps toward documenting the ability of EGCG to improve patient lives already are getting started. One of Ahmed’s doctoral students, Sabrina Fechtner, is studying whether pain perception is affected by consumption of green tea. Ahmed, who has watched loved ones suffer with rheumatoid arthritis, is eager to evaluate the results. But he’s mindful that these findings are from tests conducted only with lab animals and cautions against drawing premature conclusions.